Everybody is different and people choose counselling for a variety of reasons. My counselling approach is Humanistic. I believe that every person is unique and given the ‘right’ conditions has the capacity to change and to reach their own potential. The main counselling therapies I practice are: Person Centered, Transactional Analysis and Gestalt. I am also trained in short term Solution Focused Therapy and am currently engaging in my third year of training in Voice Dialogue. In addition I have a Person Centred Art Therapy Certificate and when appropriate I use creative techniques, including art imaging and sand-tray in my counselling practice. 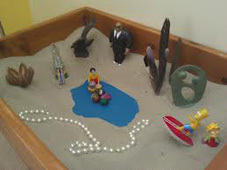 Using the Sandtray, you are invited to set up a world, by means of figures and the arrangement of the sand in the sandbox, that corresponds to your inner state. In this manner, through free, creative play, unconscious processes are made visible in a three-dimensional form. 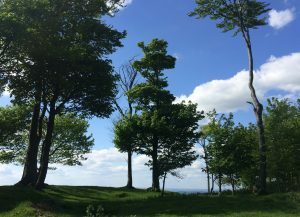 I have a certificate in taking therapy outdoors in natural spaces and offer ‘walk and talk’ therapy at the Ecotherapy site in Stanmer park. I believe that being in nature and ‘wilder’ settings provides an alternative way to deepen awareness and connection with your self (more details found here). The following is a brief synopsis of the five therapies mentioned above – should you wish to know a bit more about the background to how I work. PERSON CENTRED therapy evolved in the fifties by a man called Carl Rogers. He believed every individual has their own answers for change and growth. He saw the therapist and the client as equal partners, rather than the ‘expert’ treating the ‘patient’. Person Centered Counselling is about offering a non-judgmental relationship between my self and you in which you can explore what you are looking for and how to achieve that. GESTALT THERAPY was developed by Fritz Perls, Laura Perls and Paul Goodman in the 1940’s and 1950’s. Gestalt is the German word for ‘form’, ‘shape’ or ‘figure’. However, in English usage the word has come to mean ‘as a whole’ or ‘holistic’. Solution Focused Counselling Therapy focuses on what you may wish to achieve in therapy rather than looking at the problem(s) that may have attributed to you seeking help. 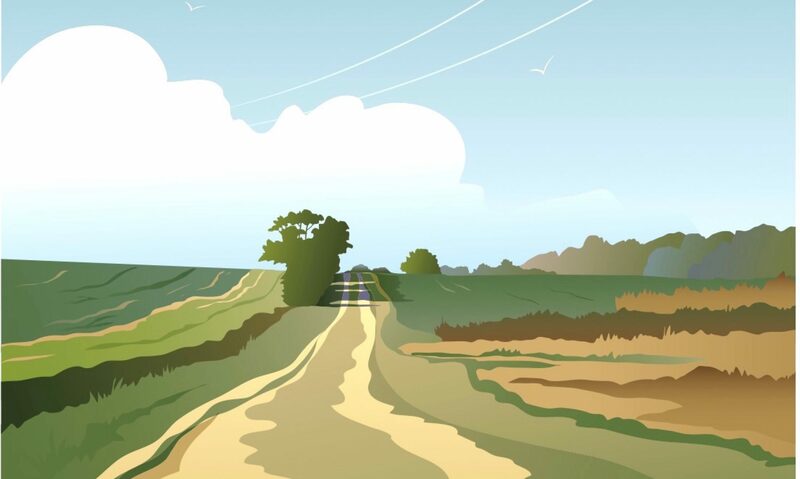 Together we would explore goals and preferred futures and implement actions towards making changes either large or small, supportively managed in the context of your story, your strengths and your resources. Voice Dialogue was developed by American psychologists Hal and Sidra Stone. Hal Stone was trained as a Jungian analyst. Sidra Stone was trained as a behavioral therapist. In this psychological theory, the idea is that a person is made up of not one, but a large number of selves, also called sub-personalities or parts. These selves have their own way of behaving, their own history and act on our behalf in their own way. Most people recognize these constant inner dialogues within themselves and quite often, these selves can cause inner tension, split feelings and doubt. Voice Dialogue is a powerful and non-judgmental method for guiding people towards a better understanding of their inner urges and motives.